Anthropologists Aaron Blackwell and Michael Gurven of UC Santa Barbara, studying the indigenous Tsimane people, located in Bolivia made a rather remarkable discovery about those infected by worms, known as helminths. They were less likely to also be host to giardia, a protozoan parasite. Whats also interesting is that the opposite is true, those infected by giardia, were less likely to have intestinal worms. What's more, when someone was treated for either, they were more likely to have the other later on, further indicating that these two parasites vie for control of the host. While these findings are interesting they are also important for a few reasons. 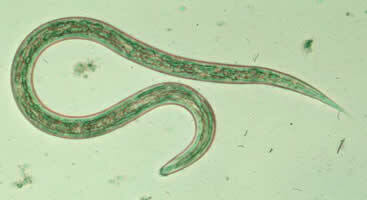 Primarily it means health care providers must reevaluate the methods for dealing with parasites. This is especially important in developing countries where large numbers of the population have parasitic worms and costly programs are often implemented to treat them. Even with treatment, if sanitary conditions don't improve reinfection by the same organism is very likely. According to Gurven, "if intestinal worms are protective against giardia, there's a tradeoff, and then the question is, which of the two is worse?" The study represents data collected over six years on more than 3,000 Tsimane individuals. More information on their work can be found at University of California - Santa Barbara.